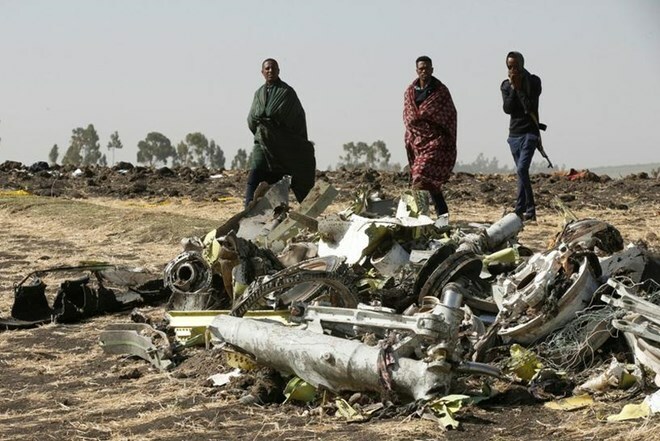 NAIROBI: Ethiopia will release a preliminary report on Monday (Apr 1) into the cause of an Ethiopian Airlines crash that killed 157 last month, a foreign ministry spokesman said. The report will be released by the Ministry of Transport, Nebiyat Getachew said, although a time had not yet been set.Flight 302 from Addis Ababa to Nairobi crashed six minutes after take off on Mar 10. Citizens of more than 30 nations were on board. It was the second fatal crash involving a Boeing 737 MAX 8 plane in five months, following an accident in Indonesia that killed 189 people. Boeing 737 MAX models have been grounded around the world after the Ethiopia crash, wiping billions of dollars from the market value of the world’s biggest aviation company and raising questions over the certification process by the US Federal Aviation Administration.